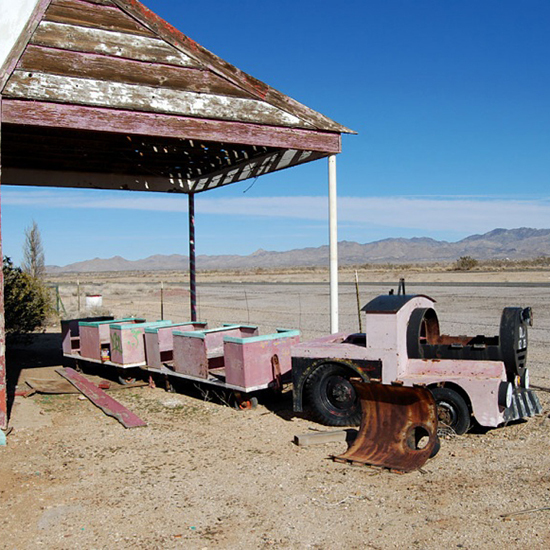 Abandoned towns exist all over the world, but there’s something uniquely American, even romantic, about ghost towns. Perhaps it’s because so many sprang up in the 19th-century Old West, when a rush to find gold and other minerals created an old-style economic bubble. When the money or luck ran out, so did the residents, often leaving behind empty houses, saloons, and brothels. 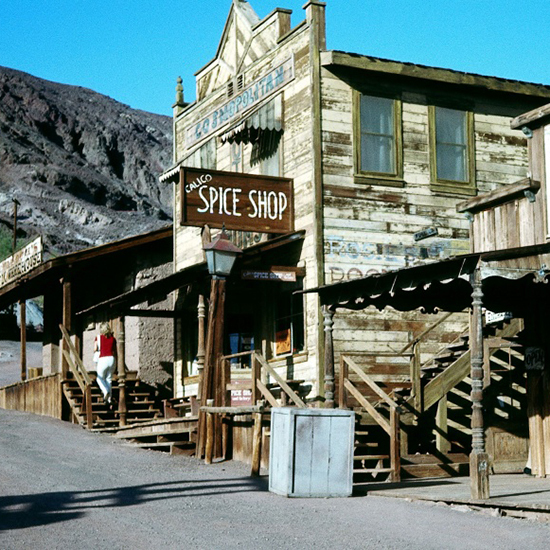 Here is a look at the coolest ghost towns around the country. 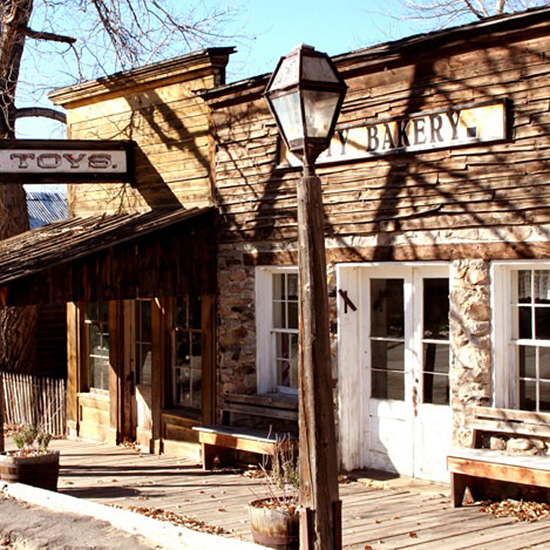 This former gold town in the Sierra Nevada Mountains, along the California-Nevada border, had nearly 10,000 residents in the late 1870s, as well as saloons, a red-light district, and possibly even opium dens. The town is named for Waterman S. Body, who had discovered small amounts of gold in the hills north of Mono Lake. Its slow decline lasted well into the 20th century, with its post office finally closing in 1942. Today, Bodie is in “arrested decay” but still has stocked stores. Just be sure not to shoplift: bad luck supposedly befalls anyone who makes off with anything from the site. Closest Civilization: Lake Tahoe, about 75 miles away. Named for the local silica-rich volcanic rock, this town near Death Valley National Park sprang up in 1905 with the promise of gold—so much promise that a guy named Charles M. Schwab sank a lot of money into the town. 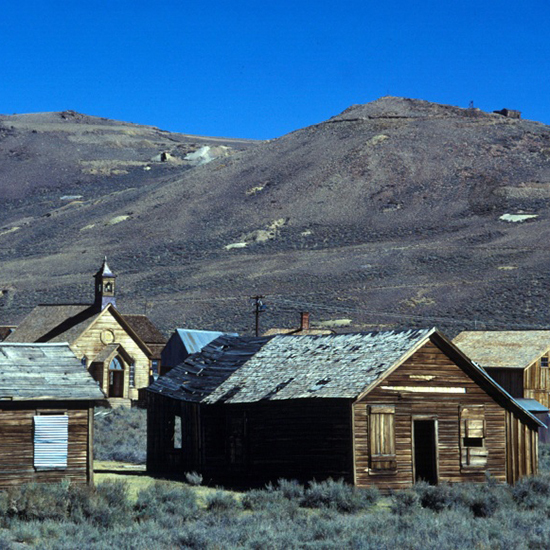 Rhyolite had a school, a hospital, and a stock exchange by 1907—as well as a bustling society that included a symphony, Sunday school, and, ahem, lots of prostitutes. Things didn’t pan out so well, literally, and people left within just a few years. 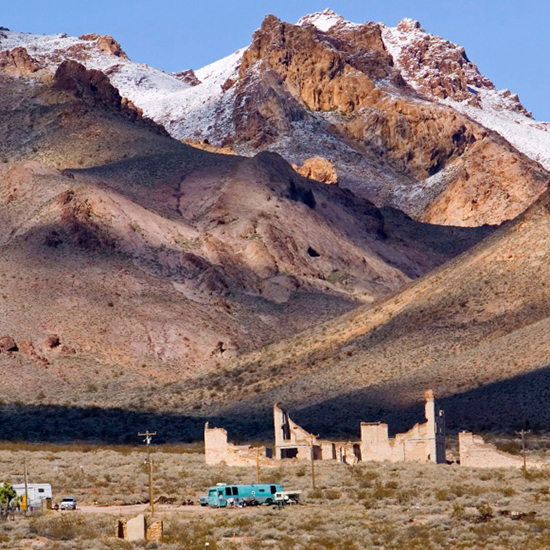 Rhyolite became an old-West movie set in the 1920s and is still home to several cool photo-op buildings, including one called the Bottle House, covered with liquor and beer bottles. Closest Civilization: Death Valley National Park and Beatty, NV. This coal town from the late 1800s went from several hundred residents to 7 by the year 2000. 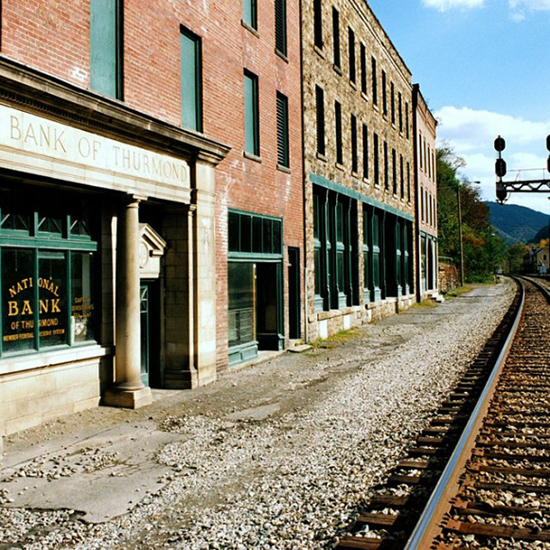 Once a big stop on the Chesapeake & Ohio Railway, its depot has been turned into a museum, and the town is now part of the New River Gorge National River. In 2005, 6 of its 7 residents reportedly ran for public office. You can check out the restored train depot and museum, but most folks come here for river rafting. Closest Civilization: New River Gorge National River. Some would say this little desert town was never more than a marketing gimmick, launched in the 1930s to draw tourists and sell real estate: inns and restaurants had a Christmas theme, and tourists could meet the man in red pants himself, any time of year. In later years it became popular just for its post office and postmark, for kids who wanted a bona fide letter from St. Nick. The four-acre site has been for sale since 1983. But even if you’re not on the market for your own town, it makes a good detour on the way to Kingman or the Hoover Dam. You can see some vandalized buildings, an old wishing well, and the remnants of “Old 1225”—a derailed, pink children’s train. Lake Flagstaff got its name from an interesting historical tidbit: Benedict Arnold’s troops once planted a flag here. But back then, Flagstaff was also above water. In 1950, plans for a hydroelectric dam meant the whole town would be submerged. 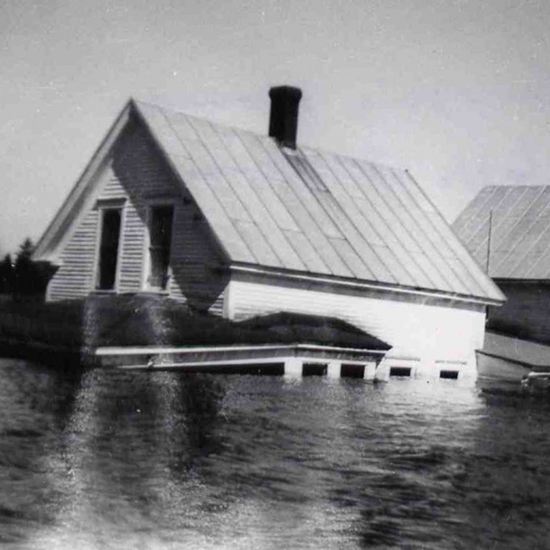 While most buildings were moved or destroyed, some sites—the occasional chimney, for instance—can still be visible from the water’s surface, if you know where to look. You can get a map of the site from the Northern Forest Canoe Trail, or take a tour in a pontoon boat. You can also see artifacts and more about the lost town at the nearby Dead River Area Historical Society. Closest Civilization: Eustis and Rangeley, ME. This former silver-mining town in Southern California peaked in the 1880s, but started declining when the price of silver dropped in the 1890s. It was a ghost town by 1907. The town’s restoration began in the 1950s, under the direction of Walter Knott, of Knott’s Berry Farm fame. Today, Calico is a San Bernardino County Park, but you can still see one-third of Calico’s original buildings, as well as Knott’s kitschier additions such as the gold-panning attraction and a “mystery shack.” To get a glimpse of the old days you can tour one mine, or wander the old post office and schoolhouse. Founded on gold mining in 1863, this town once had about 10,000 residents—including Calamity Jane—and was even briefly the capital of the Montana Territory. Maybe it was bad karma having your capital share the name of another state, or just the fact that gold ran out, but the city has been frozen in time since the late 19th century. Virginia City is now owned mostly by the state, though there are some shops, live music, and period-style theater. Closest Civilization: 90 miles from Yellowstone National Park. This antebellum river town was the capital of Alabama from 1820 to 1826, though by 1825 the bad choice of geography was clear: the place was a flood magnet. Even so, it was later the home of a Civil War prison for Union soldiers and then, during Reconstruction, a meeting place for freed slaves. 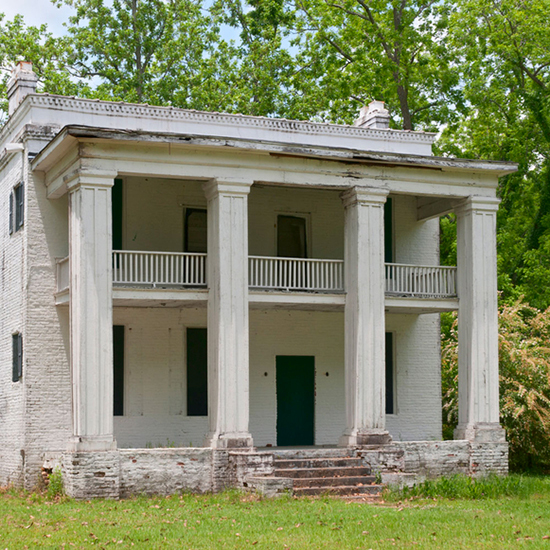 The floods largely won out, and now the ruins left in Cahawba—a few streets, cemeteries, and some buildings—are managed by the Alabama Historical Commission. This gold town thrived in the 1890s, then died and was reborn a number of times between 1910 and 1926. In the 1960s, it was reconstructed as a tourist stop. 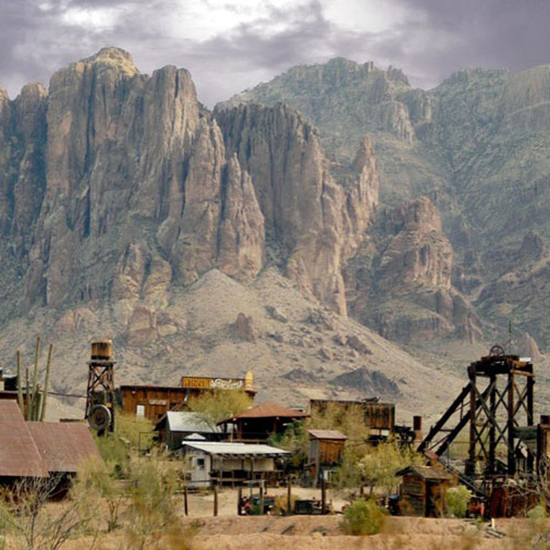 Goldfieldoffers perhaps more kitschy fun than historical preservation: you can visit the Superstition Reptile Exhibit, ride a narrow gauge railroad, or see folks in period costumes stir up a reenacted gunfight in the street. Closest Civilization: Apache Junction, AZ.